This country covers 30,355 sq km (11,720 sq mi). It is the only independent state in the world that lies entirely above 1,000 metres (3,281 ft) in elevation. Its lowest point of 1,400 metres (4,593 ft) is thus the highest in the world. Lesotho is the coldest country in Africa. 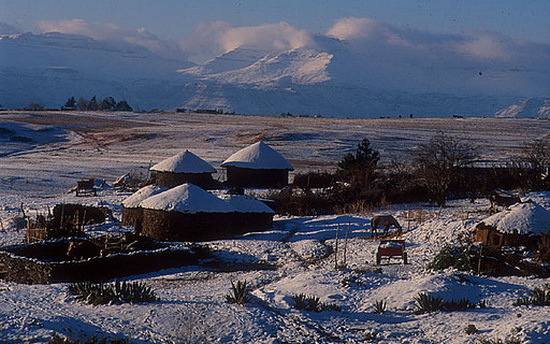 Lesotho’s June temperatures hover around 0 Celsius and regular heavy snowfall is common in the higher mountain ranges.